I’ve remained distant this off-season. My friends, whose songs I knew, have left. On to perhaps their second team since departing South Philadelphia. The others who have remained, grew odd facial hair then shaved it. All since I’ve read a complete article about the sport. Half-heartedly skimming my Twitter feed. But still, no doubt, adding games faithfully to my calendar for 2013. The always-next-year is now this year. To say that the first two games did not inspire confidence would be accurate, though a bit reactionary. 160 games remain, and that’s a large percentage. So no, the Phillies’ first plate appearances (save Chase Utley’s) did not reacquaint me happily with my, and my country’s, official pastime for the next 6-7 months. That honor was left to a man I barely know. Yu Darvish. Surely countless sportswriters, professionals and hobbyists, have outlined his accomplishments in Japan and these United States. There must be pitch-by-pitch accounts of his almost-perfectness on Tuesday all over the internet. But his 26 outs still leave me inspired, thinking about the bigger things in life, as this sport never ceases to. How many times have you made history? Google yourself. Take out your scrapbook. Maybe a few notable accomplishments exist in your personal history, and far fewer in the history that we consider collective. And if you’ve achieved perfection, especially in something as historic as the grand sport of Baseball, you are to be remembered. You are one of just 23 men. 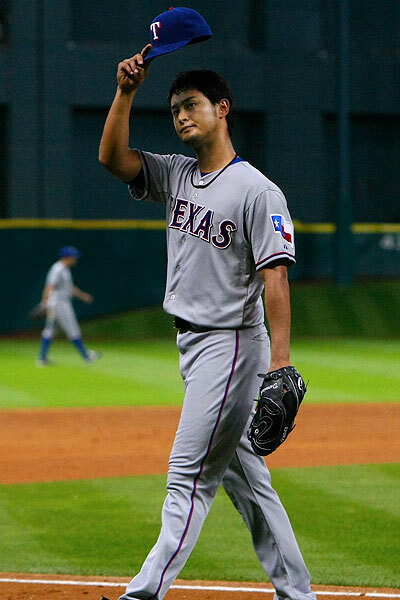 And Yu Darvish, how many of you are there? Those whose perfection score is just twenty-six 27ths. I want to be the person that remembers you. Who else will? You were just as good, probably, but certainly not as lucky. Or maybe even luckier without being just as good. How do you get to that close, and go out and do it the next day? Only the tiniest part of me can fathom getting back out on the mound again, a mere five days later, knowing the chances of being that good or even better are so very very small. I have a distinct visual memory of being at Veteran’s Stadium in 1990, along the first base line under the overhang. 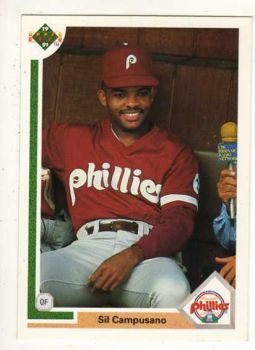 The pitcher facing the Phillies was throwing a no-hitter. This is my first memory of enjoying baseball without winning, just loving the game for what the game could be. I most certainly did not understand the gravity of what happened on the mound on my own, and I assume my dad explained as best he could. Even losing (and honestly, for a team that was used to losing), felt important – we paid rapt attention to every pitch. Until we put in a pinch hitter, with one out to go in the 9th inning. And he had a hit. That was our only hit. And how does it feel to be that batter? You didn’t win the game. You barely improved your own statistics. Your only true accomplishment was taking away the accomplishment of another man. Yes, you should always go out to do your best. Every pitch and every sprint to first base and every win counts. But will we remember you for being the man that prevented perfection? No. Will we remember the man that achieved perfection? Tonight Cliff Lee pitched a shut-out through 8 innings. And Papelbon secured the win. Now we are left with 159 games in our season. We fans can only hope we’ll see a little piece of perfection. History. Sportsmanship. The winning, while we bask in those moments, is hardly the point. I can still see Richie Allen thrown out trying to steal 2nd. 1964 on a warm June night. Koufax no hitter. Faces 27 batters. 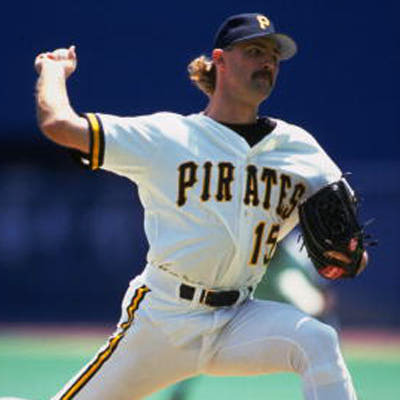 The charm of baseball is that I will always be 17.